Office is open Monday-Friday 8AM-5PM. After hours, call toll-free 800/876-0162 - 24/7/365. Enter MAIN campus entrance of Mineral Area College. Make IMMEDIATE left; MO State Highway Patrol building will be on the right. You will see our building from there. Name is on building. People facing the end of life often have a common desire: to be at peace with their decisions. Concerns for the comfort of a loved one with a life-limiting illness, worries about the impact on family members, and anxiety about the grieving process all weigh on your soul. This is precisely why Serenity HospiceCare (formerly HospiceCare, Inc.) is here to provide excellent end-of-life care and grief support services to all in our community. Established in 1989, Serenity HospiceCare is the most experienced local hospice, providing the best possible care for the whole person: physically, emotionally and spiritually. Decisions about your care are made right here, with you, not by an out-of-state corporation. Our board of directors is made up of people who live, work and worship in the counties we serve. From the beginning, we have been an independent, nonprofit organization and are not affiliated with any particular hospital or health system. We are focused solely on providing the best possible care for patients and their families they are our top priority. Our vision is based on making the world a better place by helping people with a need for end-of-life care die at peace and with dignity people of any age, gender, race, religion, disability, sexual orientation or financial situation. 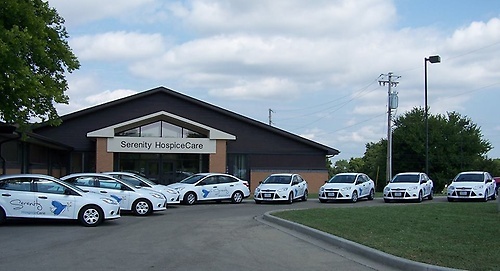 Serenity HospiceCare - Peace of mind when it matters most.